We take a bit of time out of our day to find out a bit more about our partners and stockists. Our new series called "Stockist Spotlights" will discuss all things business, parenthood and life with some of the owners and operators which keep us on our toes. This month we turn the spotlight on Karah Hogarth of HeyDay Store in Adelaide. A new lifestyle store stocking incredible items in the sunny suburb of Hyde Park. 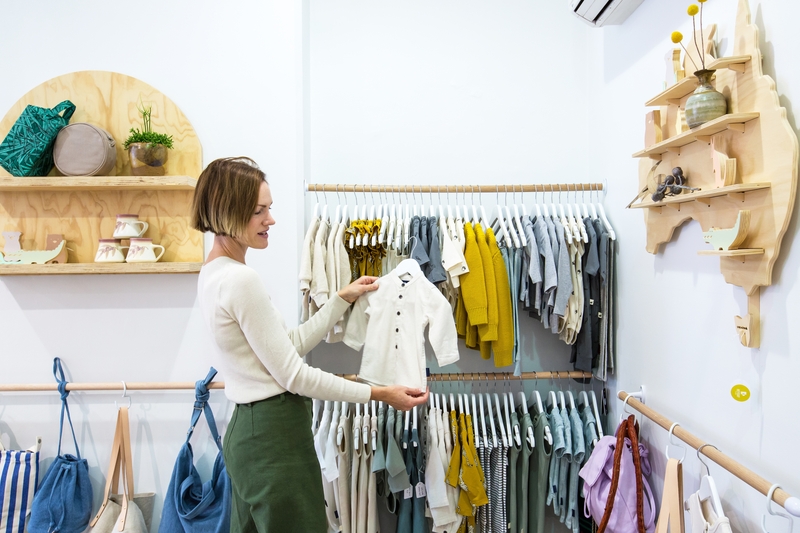 Find out about the transition from a busy hospitality business into motherhood and now to a successful and beautiful store. See the brilliant interview below. 1. Tell us about you. Who you are, where you live and what you love? I'm the owner of Heyday Store, a general goods store in Adelaide featuring beautiful and useful things for kids, women and home. I live a couple of streets away from our shop, which is in the beautiful city fringe suburb of Hyde Park. Right now I'm loving just wandering over to check in on things with my son Sidney (14 months) in tow - we stop at a park en route, enjoy some of the spring weather which is starting to peak through, and generally love being out and about together! 2. We know they HeyDay was not your first business. Can you tell us about what inspired you to move into a business of this type and how it came about? In my pre-Sidney life, I owned and ran a modern wholefoods cafe called Pickle in the Middle. This was a fantastic experience and I still miss lots of things about it - the buzz from a really busy weekend brunch session was amazing, and we had a great team that formed around that business. When Sid came along though, I decided to move away from the pressures of running a 7 days a week hospitality business! The switch to Heyday Store was really natural and felt like an obvious choice, as it gave me a chance to collect together a range of goods I really loved and to represent makers who are passionate about what they do. We started the business when Sid was about 10 months old, and so far the juggle is working well! 3. Congratulations on becoming a new parent!! What is the biggest lesson you have learned from having a little one? I think I am still learning this one, but one lesson I do revisit on a daily basis is the value of slowing down and appreciating the moment. Having a baby in your life means things are very often not under your control anymore, so life is better if you can let go and appreciate what's in front of you, rather than running through a to-do list in your head, or wishing things were somehow different. 4. How do you balance being a parent whilst also being a new business owner and giving that the attention it needs too? The set-up phase was obviously somewhat intensive, so that involved lots of late nights and generally learning to accept that it's not possible for me to get things done as quickly as I used to anymore! Now that we are up and running, I find that it is easiest just to chip away at tasks during nap times and occasionally at night if my to-do list is building up! I work a couple of days in the shop myself, so this is when I really focus on getting things done. I keep in touch with what is going on by popping in with Sid most days, and I'm lucky to have two girls working with me that I know really well from the cafe days - there is a lot of trust there, which makes running things from a distance much easier! 5. What are some of the highlights for you since owning HeyDay? I've really enjoyed re-connecting with customers from the cafe, which is only one main street away, and making new connections with a whole set of lovely new people I've met through Heyday. The feedback we've received from people has been really generous, and it's so affirming when others share the same ethos and value the same things. Now that we have our web shop up and running, I've been so delighted to see people around the country seeking us out for our unique selection of wares. 6. Tell us about a typical day! Unless I'm working in the shop, a typical day for me involves hanging out in the park - a lot! We are lucky to live in a spot with plenty of parks to choose from, so we hit up a couple each day. There's usually someone there we know, then we wander past the shop to say hi, and maybe go and find a coffee somewhere. Sid is still napping twice a day which I love - I'm worried how I'll cope when we're down to one! 7. What do you do in your downtime? 8. The aesthetic of your store is light and airy. What drew you to Pappe as a brand? Pappe really stands out for me as a brand committed to quality. The softness and thickness of the organic cottons used in the garments constantly attracts comment from our customers, and we also love the unisex aesthetic across the range. There is a focus on timeless and classic prints and colours, without anything cutesy or glaring - not always an easy thing to find when it comes to childrens wear! 9. If you had one piece of advice for parents in business, what would it be? I'm not sure I'm really qualified to give advice on this, as I see so many parents with more children than I have running businesses that seem way more complex and demanding! If you are contemplating going in to a new business as a parent though, I suppose I would say make sure you love what you do and do your best to structure it so that the demands on your time are realistic - it won't seem like a worthwhile trade off when the demands of running a business you're not passionate about start imposing on family- or you-time. 10. And lastly, what are the most important lessons you want to teach your children? I would love Sid to learn to view the world as a place full of possibilities, and to feel confident in his ability to take on new opportunities and learn as he goes! The capacity to learn is the best lesson for anyone to be taught - with this, the world truly is your oyster!